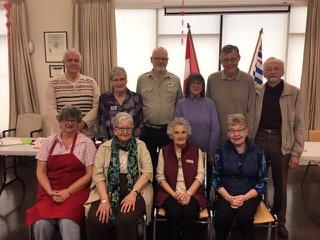 The origin of the Ladysmith Seniors Centre Society can be traced back to the Ladysmith Old Age Pensioners Society which was in existence as early as 1940. No reliable earlier records exist of seniors organizations, although a Mr. Hugh Thornley, a resident of Ladysmith, was appointed to the ﬁrst Federal Board of Old Age Pensioners held in Vancouver in 1927. The ﬁrst old age pension cheques were issued in 1927 for $20.00 per month with a means test. The B.C. Old Age Pensioners Organization was started in 1932 and became fully established provincially in 1937. The Ladysmith society became Branch #9 of the BCOAPO in, 1961. When the Ladysmith Health Centre (now the Boys and Girls club) was built by the Kinsmen in 1965, space was provided on the lower level for use by seniors. Branch #9 OAPO became dormant in 1967 but was revived again in 1969 under new leadership. In 1974, the Ladysmith and District Seniors Activity Society was formed with the objective of building a drop in activity centre for seniors. A grant was obtained from the New Horizons program to purchase furniture and supplies and a lease was negotiated with the Town of Ladysmith on property adjacent to the Health Centre. 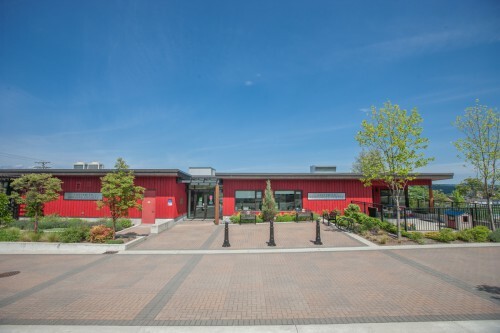 With a great amount of support from the community in the form of donated funds, material and labour, and assistance from the Provincial government, the building was constructed as an addition to the existing space in the Health Centre and was formally opened in 1979. The Seniors Activity Society was dissolved at this time and all assets were turned over to Branch #9 OAPO. The building eventually became the property of the town of Ladysmith. With the new space now available a variety of new activities such as carpet bowling, cribbage, birthday parties, and monthly dinners was established, and membership soon expanded. As time passed it became apparent that further expansion was necessary for new activities, storage space, and an ofﬁce. Also, furniture and equipment needed modernization. Since its inception, the main purpose of the BCOAPO had been to protect and expand the rights of pensioners, and to advocate for adequate pensions, better health care, and accessible housing. To support these objectives the headquarters was collecting a large percentage of the annual dues from each branch. Also, because many of its initiatives involved confrontation with government agencies, the OAPO was deemed a political organization, and branches were not therefore eligible for any available grants. In 2003 it was felt by the members of Ladysmith branch that their interests had become mainly social and that the pressing need for more space would be better served by withdrawing from the OAPO to retain all of the annual dues and to become eligible for any available assistance. Therefore the decision was made to withdraw and become the Ladysmith Seniors Centre Society. Several plans to expand were explored including taking over part of the existing building that had been vacated by the Public Health Nurses, but extensive development by the Town of Ladysmith resulted in construction of the completely new building with an area for the Senior Center, with efficient equipment and floor plan. The present centre opened in June 2010.